Ironically enough, despite the advances of 21st century technology, everyone is now busier than ever, and time is a precious commodity. It used to be commonplace to reach out to prospects and clients by phone, but these days it is time consuming and often an annoyance to the people you are contacting. So, what’s a more efficient way to share information on a regular basis with your clients and prospects? There is social media, but it warrants its own blog, and direct mail is slightly archaic. Email marketing, however, is an ideal way to capture your audience’s attention and build more business. Here are some ways your firm can use email marketing to build business. Whether monthly, bi-monthly or quarterly, an email newsletter to your clients and prospects greatly benefits your marketing plan. For starters, you likely create informative material for your target audience such as blogs, webinars and whitepapers. This information is only helpful if people actually see it, so a regular email newsletter provides the perfect avenue to share your content with your target audience. But wait, there’s more! Newsletters can also contain pertinent announcements like industry events and conferences your firm is attending or the hiring of new employees because of increased service offerings. Marketing via an emailed newsletter to your audience is a fantastic way to draw attention to your firm and build business. Building business requires building brand awareness. Email marketing allows firms to reach out to their clients and prospects in less intrusive ways than making a call or stopping in at the office. One way to look at email marketing is to consider it a soft touch technique to connect with your audience. There are endless opportunities that allow you to reach out to your clients and prospects via email. It’s a simple method to stay “top of mind” with your audience. Receiving something of interest this way will resonate well with your audience, and when a need comes up, your brand will be remembered. 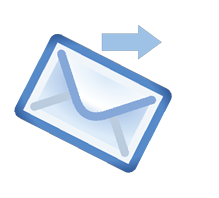 Email marketing can also be used for general promotion. In this area, there are unlimited emails you can send. Is your firm attending an industry event? Is your firm hosting a webinar? Let your clients and prospects know with an email. Your firm is already investing in attending an event or creating an informative webinar, so why not make sure you get the most out of it? With email marketing, your firm can promote these events to generate more participation which will increase the overall return on investment. Additionally, from the email marketing promotion of webinars or events, more business can ultimately be gained. As with phone calls and stopping by offices, emails can become an annoyance to your audience if not used wisely. You should consider some things before you start emailing away. First, you should segment the list of people that receive emails based on role in the firm. Next, you should use an email automation system, like Constant Contact or MailChimp, that allows you to track the performance of your email. You can see who opens your email, what they click on, and who unsubscribes. So, now that you have the basics for email marketing, start using it to build business for your firm.